Chelsea, August 16th Pet of the Week! Woke up, it was a Chelsea morning … Chelsea mornings are glorious. There you are with your favorite breakfast beverage, a plate of something healthy, a morning show on TV, and this adorable little silver tabby sprawled out at your feet, or possibly on the table, sniffing at whatever you have on the plate. Chelsea’s only about a year old and has many, many mornings to share. 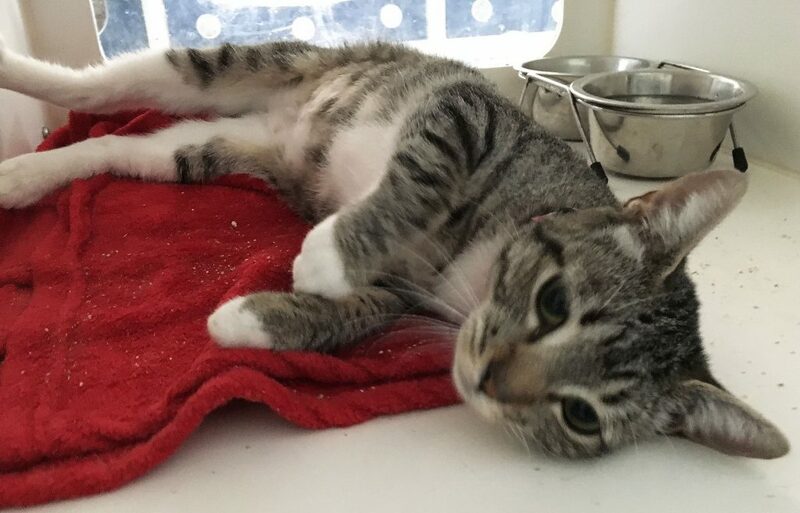 Meet her on the shelter side of the Companion Animal Village at 7700 East Spring St., (562) 570-PETS. Ask for ID#A606697. Credit: the Companion Animal Village. 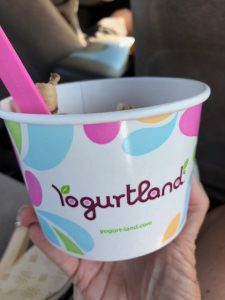 This August, Yogurtland, the ever-popular, industry leader, is expanding its flavor offerings to include three new handcrafted flavors plus two new toppings. Beginning August 6th, and available for a limited time while supplies last, the Yogurtland flavor lineup will include Dairy Free Coconut Cream Pie, Nectarine Peach Orange Tart and Strawberry Rose frozen yogurt. 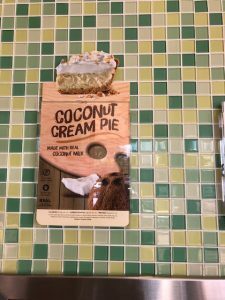 Yogurtland’s Coconut Cream Pie is the second time Yogurtland is offering a flavor with a dairy free base made from coconut milk. Combining traditional graham cracker and mouthwatering pie flavor notes in a coconut milk base, this flavor gives fans an opportunity to create a delicious dairy free treat. The Nectarine Peach Orange Tart flavor offers a burst of fresh tropical flavors. The nectarine and peach provide taste buds with a sensational juicy flavor experience while the orange gives a nice zest, providing a well balanced sweet and fruity tart flavor. Yogurtland combines juicy California strawberries and floral rose water in a sweet base to create the creamy Strawberry Rose flavor. This light and refreshing frozen yogurt will have fans craving a second serving. Along with three new flavors, Yogurtland will introduce two new toppings for a limited time. Bringing a different variety of flavors to the topping bar, the scrumptious Cotton Candy Fizzies will have fans enjoying traditional cotton candy flavors with a twist. 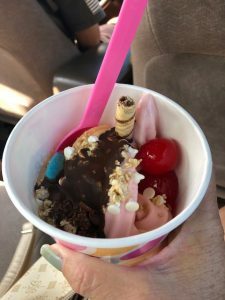 Additionally, Yogurtland’s craveable Sour Rainbows will bring a spark of color to each cup and a blend of sweet and sour flavors. I had the opportunity today to try the new flavors with my family and my favorites are Coconut Cream Pie and the Nectarine Peach Orange Tart flavors! My son liked the new candy choices! Presently Yogurtland has more than 320 locations across the U.S., Australia, Dubai, Guam, Myanmar, Oman, Singapore, Thailand and Venezuela. 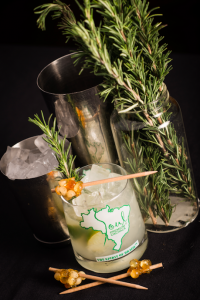 Flavors are always subject to creative change and popular demand. For more information, visit http://www.yogurt-land.com or http://www.facebook.com/yogurtland. Self Disclosure: I received a gift card to try out the new flavors. No other compensation was received and I am a big fan of Yogurtland!